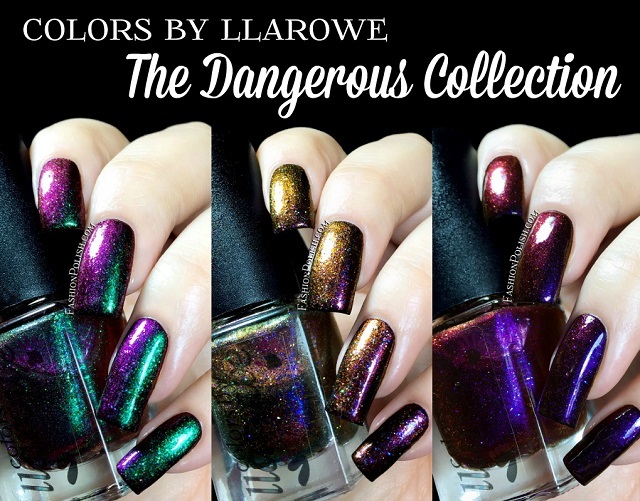 The Dangerous collection consists of 3 semi sheer multichrome shimmer base packed with multichrome glitters. See you after the jump break with individual swatches! 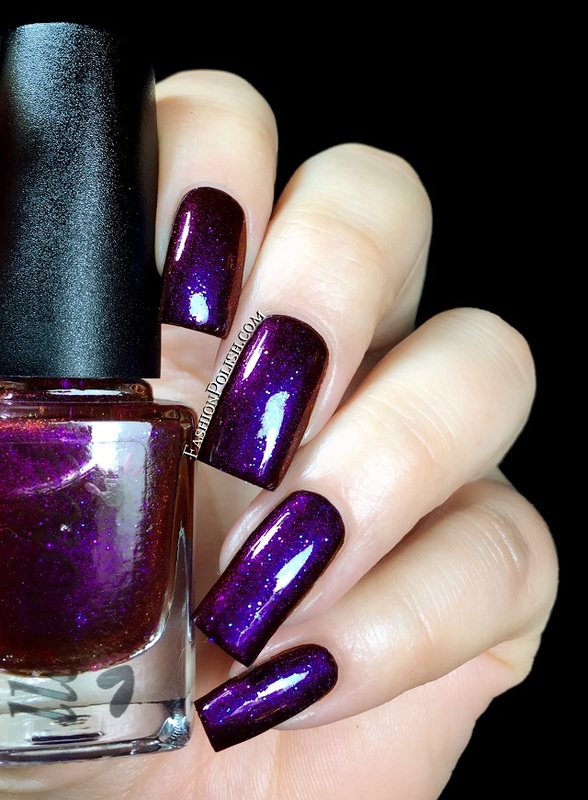 Formula was consistent on the entire collection : smooth and easy to work with. 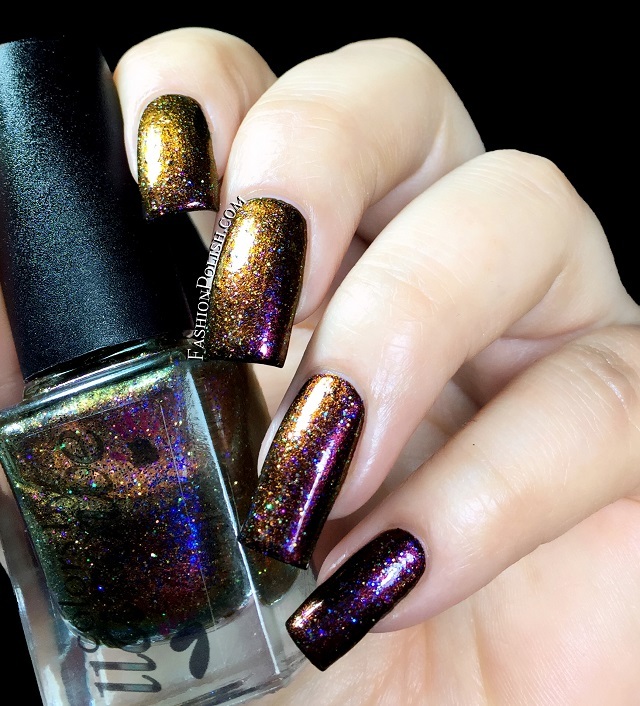 Semi sheer, they can be layered over black or a colored base for maximum color shift or built up on their own with 2 to 3 coats. 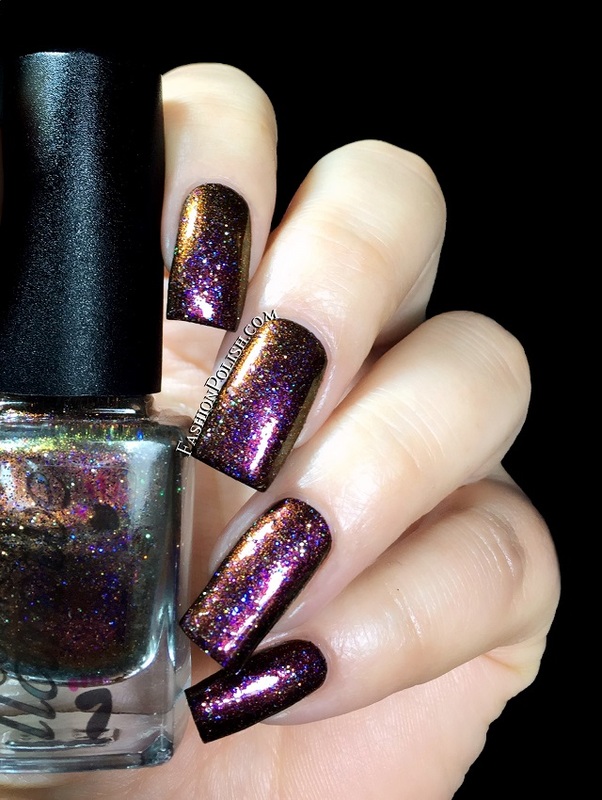 I used 2 thin coats over black plus topcoat in all of my swatches. 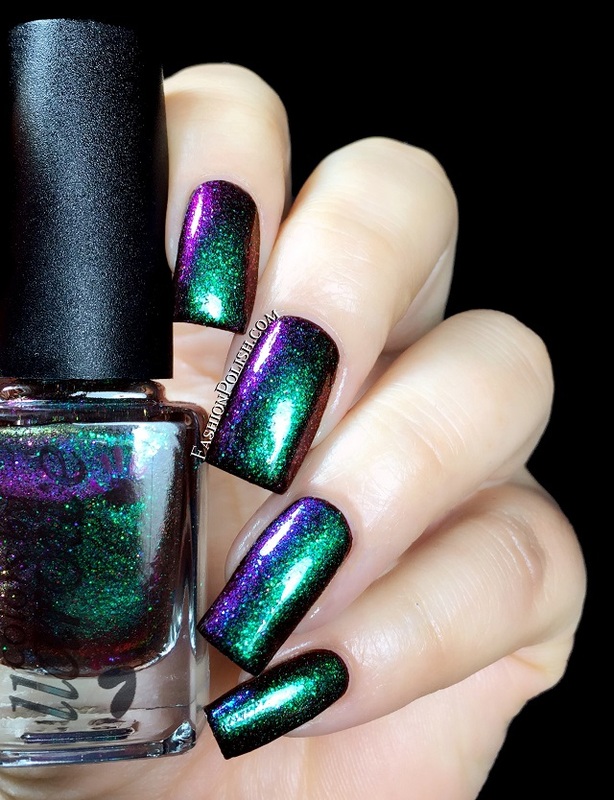 Nitro is a green to blue, purple and copper multichrome shimmer base with matching multichrome glitters. 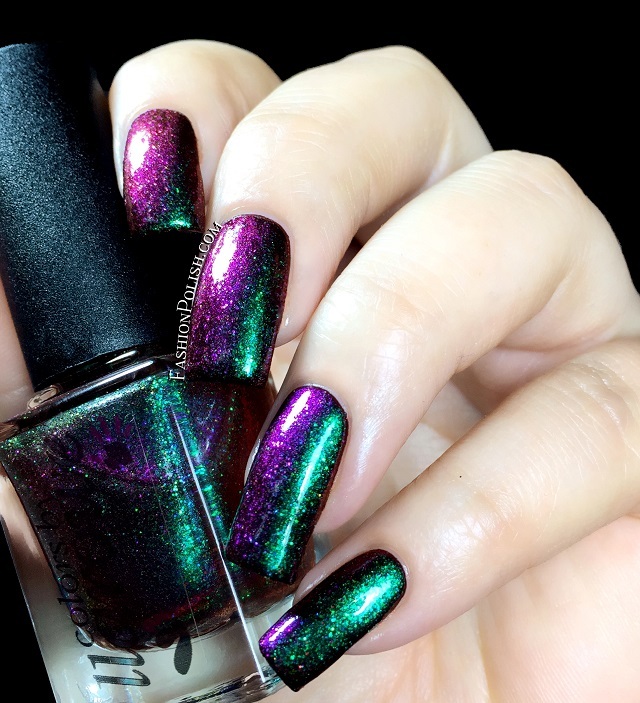 Chaos is a magenta to burgundy, copper, gold and green multichrome shimmer base with contrasting multichrome glitters. 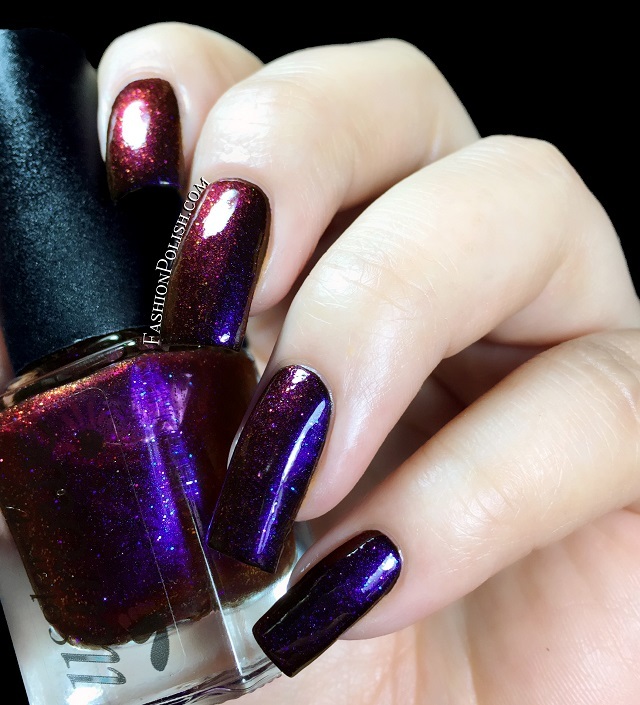 Lethal is a navy to blurple, purple, burgundy, orange and gold multichrome shimmer base with matching multichrome glitters. This collection is NOT a limited edition!